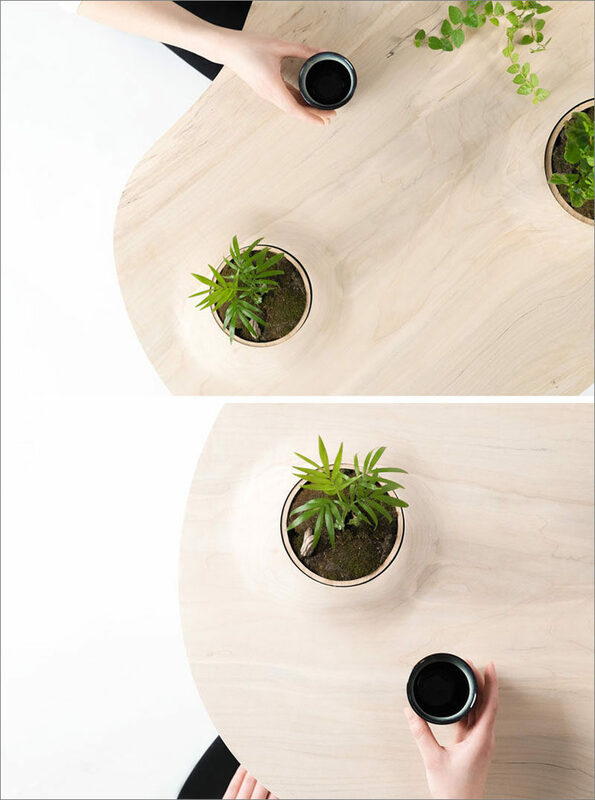 Toronto-based design studio Wooyoo, has created the Pokopoko Table, a modern wood coffee table that has small pockets of green space. 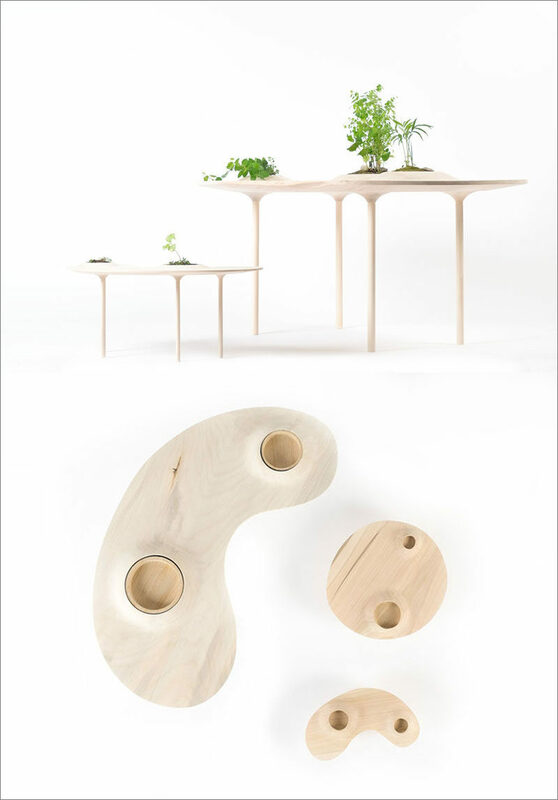 The majority of a coffee table surface is flat and sometimes goes unused, so the designers decided to fill that unused space with small planters. 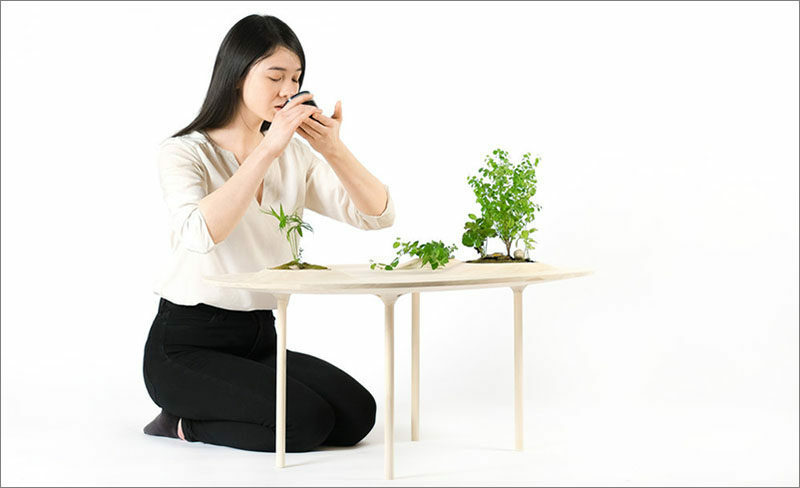 Small raised mounds were created in these unused spaces to allow for a planter to be placed within the table, adding visual interest to the design, and greenery to an interior.